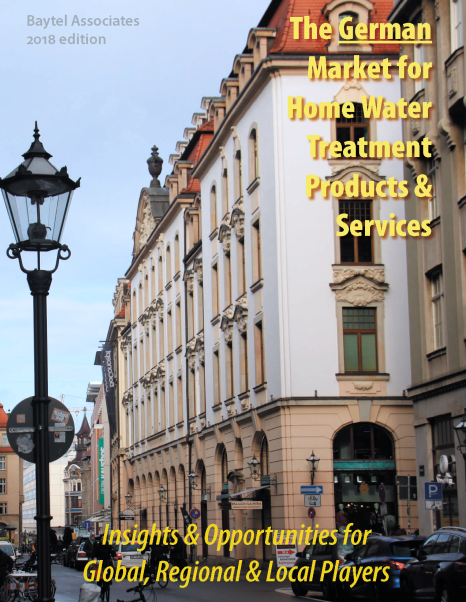 "Global Markets for Home Water Products & Services"
New emphasis on competing and complementary product categories: tap water, bulk bottled water, well water, etc. 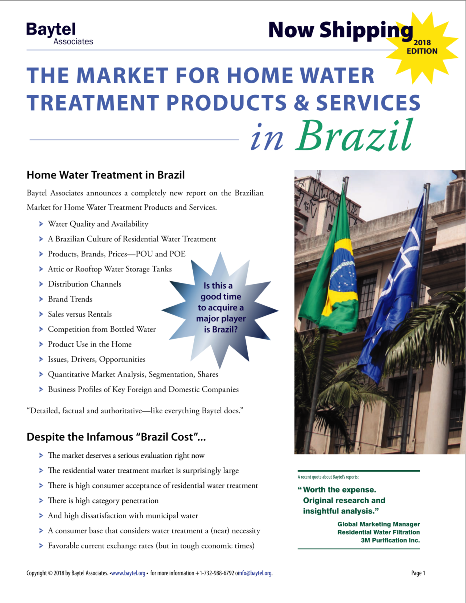 We've carried out numerous projects in other countries exploring the markets and business opportunities for home (residential) water treatment products and have numerous editions of reports on many other country markets. 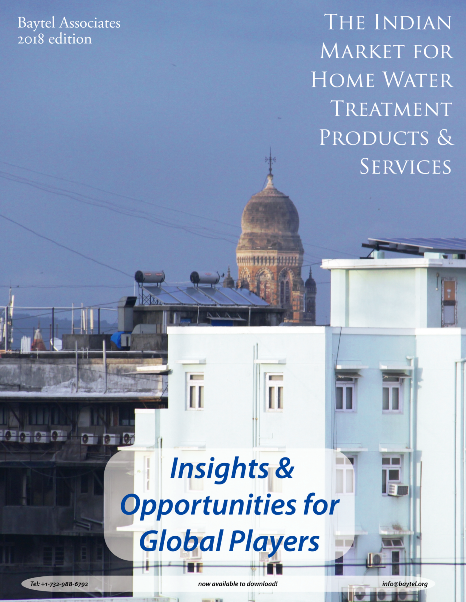 These reports can readily be updated to reflect the latest changes in the markets and/or to meed the requirements of your specific goals and interests. 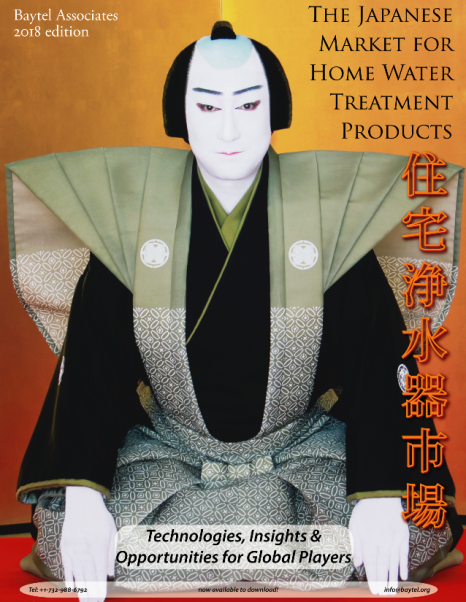 Contact us directly to discuss your needs. Copyright © 2018 by Baytel Associates.